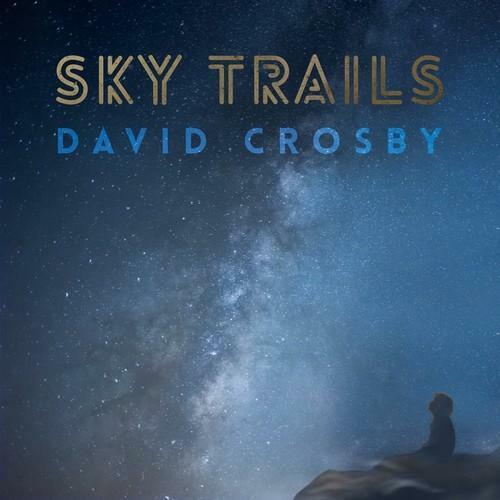 Sky Trails, David Crosby's third album of original material in four years, continues the fearless folk rock legend's unexpected late-period resurgence. Sky Trails features a full band sound that takes Crosby in a new musical direction as the set tilts toward jazz. The album opens with the intoxicating "She's Got To Be Somewhere," which features sturdy horns, bending guitar notes and lilting melodies. Crosby is backed on the album by the Sky Trails musicians, the core of whom are saxophonist Steve Tavaglione, bassist Mai Agan, drummer Steve DiStanislao, and Crosby's son, multi-instrumentalist James Raymond, who also produced the album.